A.I. 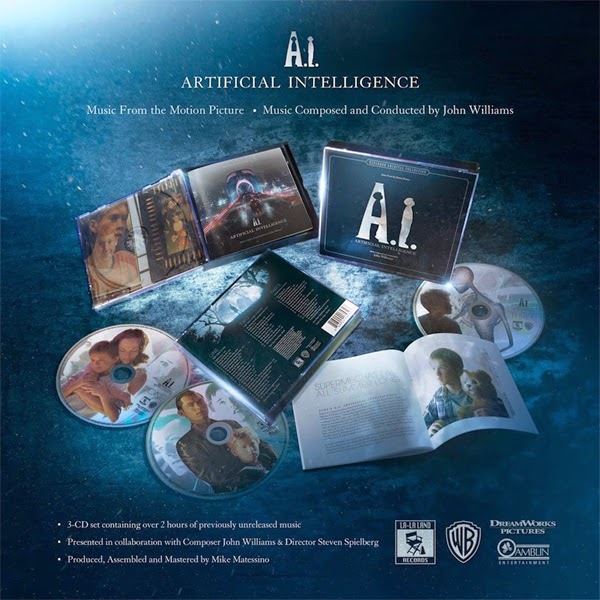 Artificial Intelligence, also known as A.I., is a 2001 American science fiction film written, directed, and produced by Steven Spielberg, and based on Brian Aldiss's short story Super-Toys Last All Summer Long. The film stars Haley Joel Osment, Jude Law, Sam Robards, Frances O'Connor, Brendan Gleeson, and William Hurt. Set sometime in the future, A.I. tells the story of David, a childlike android uniquely programmed with the ability to love. This is a beautiful score, it is as single... now 3x the original!